What’s Holding Back African-American Entrepreneurs? Of all racial groups, African-Americans are the least likely to bring their startup efforts to fruition. According to the U.S. Global Entrepreneurship Monitor  (GEM), an annual survey of a representative sample of the adult-age population of the United States, conducted as part of an effort to track entrepreneurial activity across countries and time, established business activity was only 36 percent of startup activity for African-Americans in 2015. That contrasts with 40 percent for Hispanics, 67 percent for Asians, and 75 percent for Whites, the authors of the survey report. Why are African-Americans less likely than members of other racial groups to successfully transition to an “up-and-running” business from a start-up effort? I think it’s a lack of access to capital. Most startups get their initial capital from their founders’ savings. And African-Americans have much less savings, on average, than other racial groups. According to the non-partisan Pew Foundation, the typical  White household had a net worth of $141,900 in 2013, while the typical African-American household had a net worth of only $11,000. That means that for a member of a White household to tap his or her net worth to finance a startup effort is much easier than for a member of an African-American household to do the same thing. In fact, for an African-American the median startup requires more capital than the typical household has, a situation not present with White Americans. This means that African-Americans must often seek capital from outside sources not to grow their business but just to start them. Because that’s a very difficult thing to do, it’s not surprising that fewer African-American entrepreneurs are able to get their businesses up and running. Other explanations are often given for this racial gap  in bringing startup efforts to fruition, including lack of parental role models, insufficient human capital or inadequate social networks. Bur research by economist Rob Fairlie at the University of California at Santa Cruz shows that having a self-employed father parent and having more education and management experience only have slight effects on the difference between White and African-American startup rates. Research by others shows social networks don’t account for the racial differences in startup rates at all. The data show that what most depresses entrepreneurial activity among African-Americans isn’t the desire to start businesses, but the ability to turn those desires into up-and-running companies. The key obstacle, it seems, is lack of personal capital. Current efforts to solve that problem are inadequate. 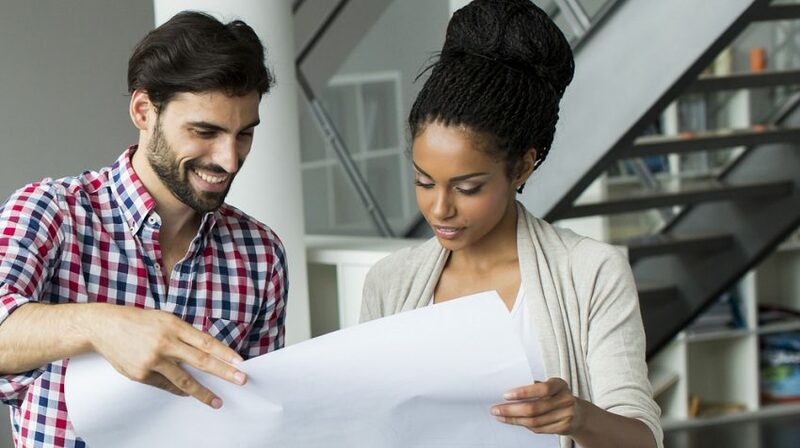 Offering loans isn’t the answer because the need to persuade others to provide a loan is likely the obstacle that sinks many African-American entrepreneurs’ efforts to get their businesses up and running. The answer requires the design of more complex funding schemes than have been put in place to date. Hopefully, the smart folks in Washington will come up with an effective solution to this problem. If we have to wait for the net worth of African-American households to catch up to that of Whites to close this gap in startup activity, we will be waiting a long time.